Graduated from Berklee College of Music in Boston, Emanuele de Raymondi is an Italian avant-garde composer and sound artist. His music is based on techniques of digital sound processing combined with traditional compositional structures; his recent works explore the relationships between sound, space, perception and memory. He writes music for theater, film and media arts, collaborating with artists such as Kathleen Supove', Jennifer Choi and Oguz Buyukberber. De Raymondi's compositions have been performed at international festivals and networks such as Radio WPS1 Art (MoMA), Tribeca New Music Festival, New Music Days Istanbul, Venice Biennale, Locarno Film Festival, Italy Taormina-Prix, The Stone (New York). In October 2012 he will present his new album ‘Buyukberber Variations’ (out on ZerOKilled Music - NYC) at the Venice Biennale: a cutting edge evocative electronic journey into Turkish clarinetist Oguz Buyukberber's improvisations. 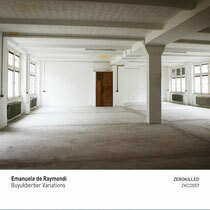 Emanuele de Raymondi | Buyukberber Variations from ZerOKilled Music on Vimeo. In this debut album out on Zerokilled, De Raymondi interprets the evocative improvisations by Turkish virtuoso clarinetist Oguz Buyukberber through mesmerising electronic manipulations. The only sound source of the 10 tracks that make up the album is Buyukberber’s clarinet: the improvisation sessions were recorded by De Raymondi in Berlin in a unique architectural space, with a natural reverberation time of 10 seconds - no digital effects or additional instruments were used during the composition. The sound of Buyukberber’s clarinet is transformed and stratified by the experimental composer resulting in a style that cohesively combines electronica, jazz, ambient and minimalism. 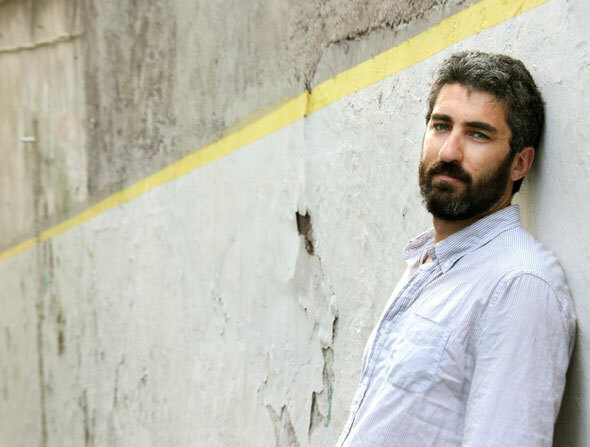 With 'Buyukberber Variations' De Raymondi explores the relationship between sound, space and perception, pointing to new sonic directions that place him as brilliant new voice in contemporary music. It’s out October 9th.